*Those are squash!! Aren't they the coolest squash you have ever seen?!? 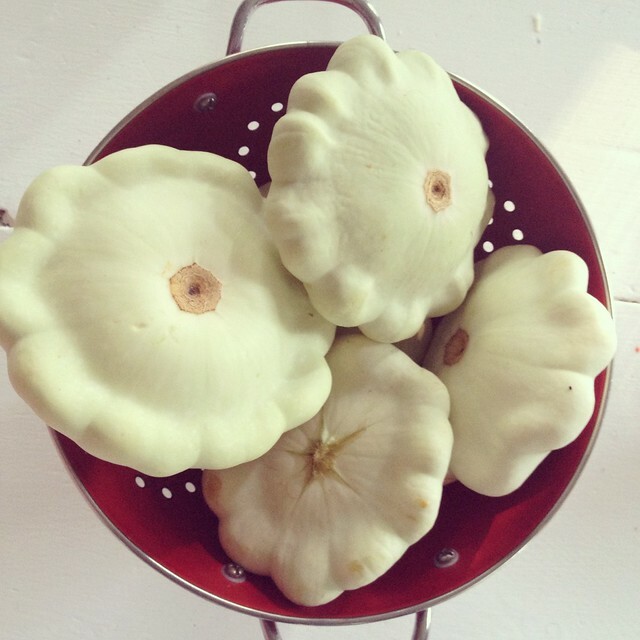 They are called Texas Patty Pan squash. I have no idea what they taste like, but they are so cute, I mean, do they even need to be good? *I recently read an article about how picking at your face is not just a habit, but that it more of a disorder. Do you hear that mom- I clearly have a disorder (called dermatillomania). People who have this make up things in their heads that they think are zits or blackheads or whatever and then pick at them even though they really aren't there. I really don't know if this is real or if I really do need to just have self control when I want to pick at my face, but it feels so nice being described as something that is not real. That really all the pores and blackheads are in my head. I need to find a more productive way to deal with stress instead of making scars. *How sad are the fires in Colorado??? My sister and brother in law live up there and we are praying for their family and friends. I just cant imagine how scary that must be. *A switch in the total opposite direction- This weekend we watched Jim Gaffigan's "Mr. Universe" and it was hilarious! I really could not stop laughing. And its on netflix! I just love netflix. *Speaking of direction, we knew it was coming but I def love New Direction. You don't have to say anything. Anything you want to say to me, I have already said to myself. But they are so catchy!!! I love it. *This book on introverts look so interesting. Jeff took the meyer briggs personality test at his conference a few weeks ago and then I took it on his same test paper and then made my brother do it on the same test paper after us. We are kind of obsessed. It is just so fun to see how everyone thinks and is programmed. *Tie Dye denim??!! Two of my favorites combined. I am so going to have to do this. You're welcome for that crazy look inside my very disorganized brain. Hope y'all have a great start to the week.